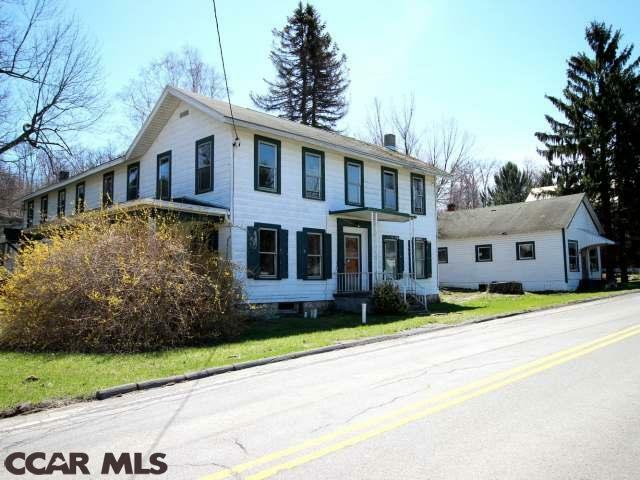 3 Unit Property in the heart of Snow Shoe. Main building consists of 2 Units that could be used as one dwelling or as two. Unit 1 is 3 Bedrooms 1.5 Baths. Unit 2 is 2 Bedrooms with a Single Bath. 3rd Unit is a Guest House with 2 Bedrooms and a Bathroom. 4 Stall Detached Garage. All Offers/Counter Offers must be submitted at PropOffers.com by Buyer's Agent Directly. Offers must included sales contract, proof of funds and copy of earnest money check. Property being Sold AS-IS. Property has numerous condition issues. Guest house not connected to public water/sewer. For additional information contact listing agent. Directions: Corner Of South Moshannon Avenue And Nectarine Street In Snow Shoe.